Able Foundation’s computers is the computer recycling project arm of Able Foundation; a charity for people with learning disabilities operating in Greater London; providing advocates ,creative ,empowering, inclusive, preventive, safeguarding and well-being support for vulnerable people with learning disabilities. Able Foundation’s computers offer a free professional and secure IT disposal service to businesses and individuals. We refurbish donated computers and make them available for reuse whilst anything that cannot be reused is recycled. The project allow us to create work based training and voluntary opportunities for people with learning disabilities, and vulnerable groups. Through our free IT disposal and refurbishment services, Able Foundation is able to provide training and voluntary opportunities to socially excluded adults within the community, and our service users. Our data destruction service guarantees that none of your data can be retrieved and that your business is fully compliant. Our entire ethical computer recycling takes place within the UK. Use our preferred courier- P4D. For just a few pounds they will collect your old computer and deliver it to our processing centre. We hope you agree this is a small price to have your computer to be completely data- wiped and reused by vulnerable people rather than being scrapped. Should you wish to use the courier service please visit the P4D website to arrange for the delivery of your donation (Please note that Able Foundation is not affiliated with P4D). Able Foundation refurbishes and sells a range of PC’s and laptops to cater for all of your computing needs. All of the money that we make from our sales goes towards improving our service. 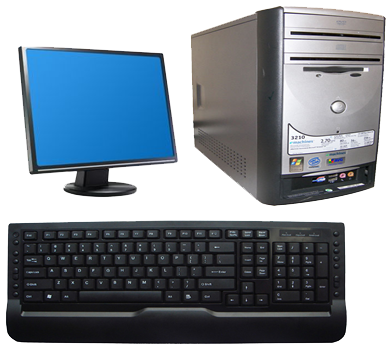 We take full liability for the equipment we receive and refurbish, and for our electronics and computer recycling. Able Foundation computers recycling project, provides a complete computer decommissioning solution to businesses replacing their hardware. Our service includes data destruction, reuse and computer recycling. We’re registered with the Environment Agency as an Authorised Treatment Facility and can guarantee compliance with regulations, including the WEEE Directive, Duty of Care and Data Protection Act. We offer free computer recycling to the public too. Individuals can drop off equipment Monday – Friday between 10am and 4pm free of charge. There is parking available and we can help you to unload your vehicle. Click here to view a map, and please call 020 8302 7998 to let us know you are coming. Your business can get tax relief if it makes a gift of equipment or trading stock to a charity or Community Amateur Sports Club (CASC). By using Able Foundation for your IT disposal you will be able to reduce the taxable profits your business makes by the value of the IT equipment donated, because we are a charity. Using Able Foundation means you’ll pay less tax. This applies whether you’re in business as a sole trader, a partnership or a company. All hard-drives received are wiped using Blancco software which guarantees the unrecoverable removal of 100% of data. This service is free of charge. Data destruction offers advantages over physical destruction as it allows a device that’s safe for second life.. Hard-drives that are faulty or cannot be wiped of data are destroyed. Blancco is widely accepted as the industry-leading data destruction software. It was the first software to receive CESG-certification to InfoSec 5 standard and meets all recognised international data destruction standards, including those set by the UK’s Communications Electronics Security Group (CESG) and the US Department of Defence. We are a registered Hazardous Waste Carrier and provide consignment notes for the safe transportation of your waste, in line with government legislation. Some examples of Hazardous Waste include CRT monitors, UPS’s and photocopiers. We have a registered exemption with the Environment Agency under Paragraph 41 for Environmental Permitting. We can issue data destruction certificates to confirm this upon request. Not only do we provide low cost computers to underprivileged people, our project also offers support to socially excluded adults within our community. Refurbishing your unwanted equipment enables us to create work based training and voluntary opportunities for vulnerable people. Able Foundation is the perfect fit for Corporate Social Responsibility programmes. By combining IT refurbishment and computer recycling with training and development for the socially excluded adults, Able Foundation also offers both environmental and social benefits to local people and the wider community. Please supply bios / hard disk passwords to enable us to reset / wipe any pre-configured administrator right and permissions. PC’s – Pentium IV or single core processor. We are a Microsoft Authorised Refurbisher and we reuse as many computers as possible. Our team of technicians/ volunteers refurbish the equipment we receive to a high standard and make them available for reuse. Anyone can buy from us and our prices are kept low so that under-privileged individuals and charities can afford them. We take full liability for the equipment we receive and refurbish. Only computers that cannot be refurbished are sent on to be recycled by an Environment Agency registered company (within the UK) who also work to a high standard. Reusing a computer is up to 20 times better for the environment than breaking it up and recycling it. Manufacturing new computers to replace that are recycled uses energy, fossil fuels and finite resources whereas prolonging the life of a computer is the best way to reduce the carbon footprint of IT.